In June of 2006 Seventh Rule Recordings released a collection titled, The Scar is Our Watermark. This was my introduction to Detroit’s Thoughts of Ionesco. The Scar is Our Watermark is a fantastic fan-friendly release, which also includes a DVD. This made me want to know more about Thoughts of Ionesco. For a while, The Scar is Our Watermark was the most comprehensive capsule of information. Flash forward a decade to today. 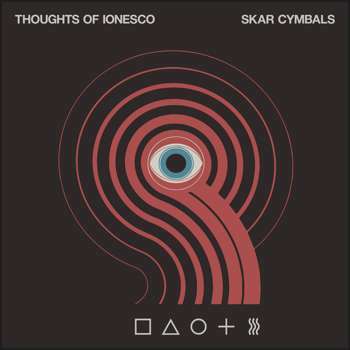 Sean Hoen, guitarist for Thoughts of Ionesco, was kind enough to discuss Thoughts of Ionesco’s 2017 release, Skar Cymbals, released on Corpse Flower Records. 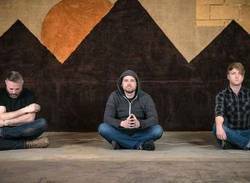 Sean Hoen is joined on the comeback album by the aforementioned bassist Nathan Miller and drummer Derek Grant. Hoen describes the re-assembly of Thoughts of Ionesco, the genesis of Skar Cymbals, and shares the thoughts and feelings behind the record. “Earlier this year, two things happened,” Hoen begins. “One was that Derek was on break from Alkaline Trio while their singer did a stint with Sum 41 or Blink 182—one of those bands, I forget which one. So, Derek had time and he wanted to get dirty again, I think. We were going to make some music, he and I, and it turned into ‘Why not write a few Ionesco songs,’” says Hoen. 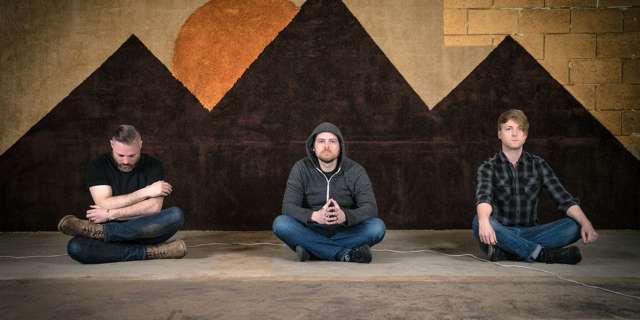 In regards to preparing for a reunion show, rehearsals, and going through the process of playing together again, Hoen described a unique experience in re-visiting old material. "Heavy music is so polished now—most of it sounds false to me…We just wanted to keep it raw and document a moment." In previous interviews I have asked bands about the books that have been written before, or since, their inception. Many great books about music provide insight that helps further understand bands and their influences, and add context to the eras in which they lived. Additionally, I think readers and fans can relate to the feelings a band’s members have towards their roots and hometown. In the case of the Detroit scene in the ‘90s, I was curious if Hoen had thoughts on any books that have covered this period in Detroit’s music history. “I don’t think there’s a document like that concerning that era in Detroit and I personally don’t really see the need for one,” he says. Hoen goes on in detail a little more about that time in Detroit’s music scene and touches on Thoughts of Ionesco’s attachment to the region. With Derek’s opportune break from the Alkaline Trio, he was able to write and play on Skar Cymbals and Hoen emphatically expresses a gratefulness for Derek’s presence. With Miller and Grant (who also brought Hoen’s vision for the Skar Cymbals artwork to life) on board and the timing right, Hoen details the writing process for Skar Cymbals. "We were never an important band, really, to anyone but a small number of people, most of them from Detroit." Just as Hoen described older Thoughts of Ionesco music--raw, human, a little sloppy and ragged--the band tapped into that for Skar Cymbals. “We wanted the recording to be really live,” says Hoen. “Heavy music is so polished now—most of it sounds false to me. We recorded more like Zeppelin would have, just live in a room, leave the mistakes, no triggers or any of that crap. Our old records were done live, except for the vocal. They were all tracked in a single day. We just wanted to keep it raw and document a moment. I am not surprised to say that Hoen describes the re-convening of the band free of ceremony and fully involved with the music. Skar Cymbals is available now on Corpse Flower Records here. The Detroit show occurred between the time of this interview and its publication. Words by BJ Rochinich on Oct. 22, 2017, 4:31 p.m.
Posted by BJ Rochinich on Oct. 22, 2017, 4:31 p.m.
Posted Feb. 20, 2014, 9:30 p.m.